My mom didn't have too much jewelry; she just wore hoop earrings or dangling ones. But she did have a set that was vintage looking that I always admired. Here is the necklace. And another plain necklace with earrings. I keep them in a bowl on my dresser with the white rose. This is another pendant that I came across that I thought was so pretty. My mom's jewelry is special to me because they belonged to the woman who raised me, who cared for me, who loved me. She was so creative and talented and could sew, draw, and write. She wrote this to me when I was a little girl. What a heart-warming post! The necklaces are so pretty and the memories of your mother are priceless! I just love the sweet poem she wrote for you, what a treasure! Such sweet memories of your mom Sheri! She was beautiful… Enjoy your weekend. is very special to you. It looks like it might be Eisenberg Ice. I have some pieces of that from my mother-in-law, who I loved dearly. Have a very special weekend. yes I do, from my grandmother. What wonderful treasures. Perfect stars, indeed. Lovely memories of your mother. 'cause you are such a doll~"
Oh, Sheri! This blog-post is so sweet! And moving! And brings memories! Good morning beautiful friend! I was out yesterday getting my Christmas tree, but here I am enjoying my favorite blogs on this fabulous Sunday morning. Your mum was GORGEOUS. 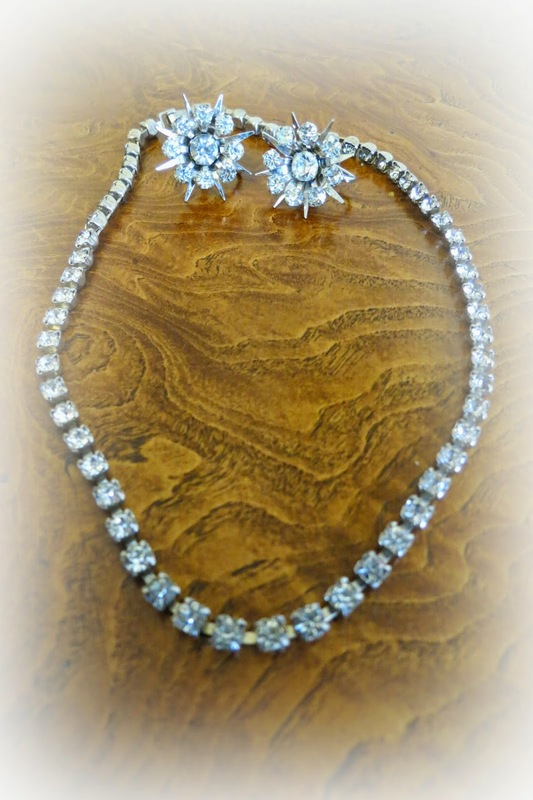 And my mother had the most lovely vintage jewelry too. I have many of her things and one thing I treasure the most is a little cheap plastic doll she bought to make a crocheted vest for, and that she gave me the day she died. I can hardly look at it however, for it somehow embodies the great sweetness and love. But I also was blessed with HER awesome memory. 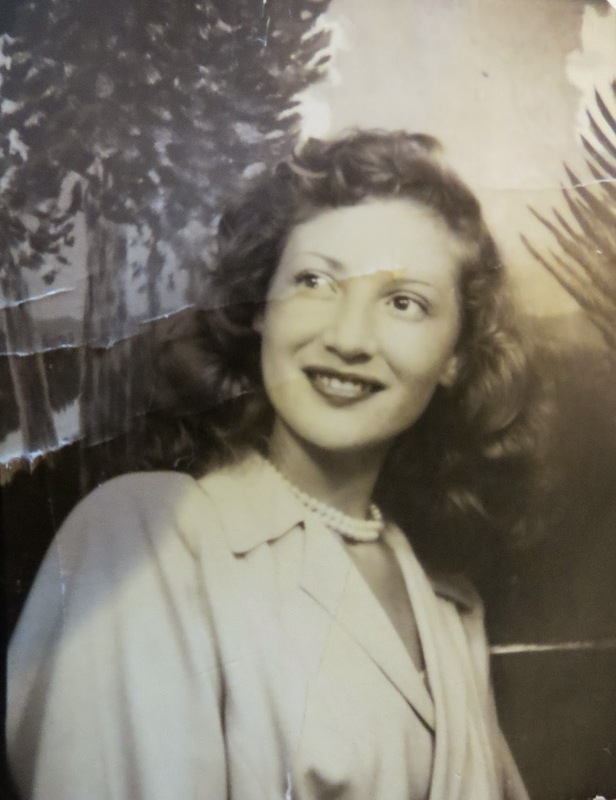 My family always said she had an incredible memory, and my husband says I inherited it. I did. So yesterday when we got our first real Christmas tree, the smell of it took me back to the old house in Los Angeles, and to the moments when I'd help my mother take out the tinsel and old ornaments. It is lovely and yet painful, to have a good memory. Oh Sheri, what a sweet post...you made me tear up. Moms are the greatest aren't they. Your Mom was absolutely stunning. What sweet and beautiful heirlooms she has left you. Sending you a great big hug. Hi Sheri, I love this post. Your mother was very pretty and her jewelry is very special. I have some pieces almost the same that belonged to my mother too. They are very special to me and I keep them displayed as well. Love yours in the white rose dish. Thank you for sharing this walk down memory lane. Also for stopping by and your kind comment. Wishing you a wonderful week ahead my friend. So gorgeous, she's beautiful. I can just tell how loving and kind she must have been. The jewellery is so lovely with its vintage vibe and jewellery is the absolute best when it has memories or a beautiful story behind it. Such an elegant lady, her face is so beautiful! I love some jewels, like angels, that I have designed, they belong me and a special event happened to me. Such lovely and pretty treasures from your beautiful Mother. Mother's are the best thing in this earthly world, aren't they? You have displayed them beautifully as well. Thank you for your thoughtful visits-they always mean so much to me! Hi Sheri, thanks for visiting my blog. I really do love the rain we got, even though the kids had to stay inside. Your Mom is such a beauty, like a movie star. 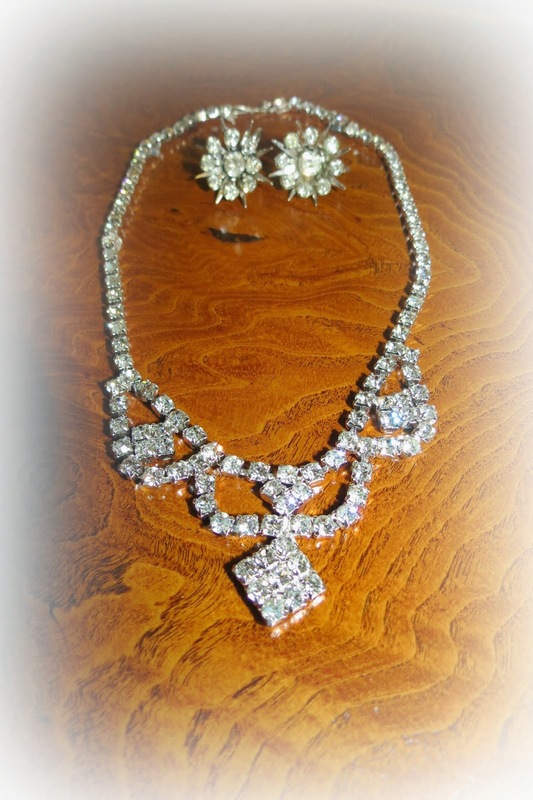 Such lovely vintage jewelry. I love the picture of your mother. She was a very beautiful woman. The jewelry you inherited is also beautiful and I love how you display your keepsakes in such a lovely bowl. omg they are so pretttyyy and ofcourse your mom, she is even prettier! Beautiful picture of your mother, Sheri. Such special treasures. Firstly what a lovely photo of your Mum! Those sparkly necklaces are so beautiful and I'm sure you enjoy wearing them. I have a few treasured pieces which were my Grandma's. So special to have jewellery which has been handed down. I just realized I missed alot of posts including this amazing one! Oh my gosh your mum was soooo beautiful! What an elegant and clever lady!